On 14th August at 19:04 h the first unmanned aircraft ordered by TAF conducted its first test flight. 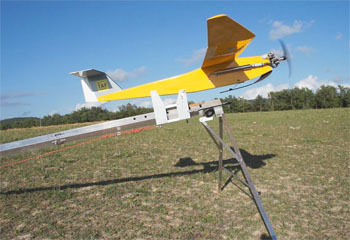 ARGOS-2 is a UAV platform designed and built by CATUAV from ARGOS model and its mission is to monitor wildfire at night. This new model is adapted to take off from catapult, has a maximum range of 14 hours and a parachute recovery system.